Are you looking for ways to enhance your social media marketing? Do you want new tools to simplify your marketing tasks? 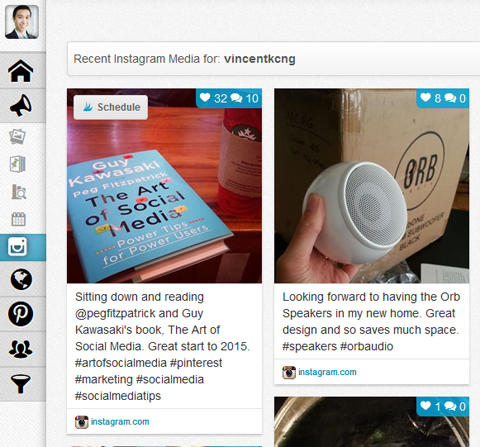 We asked a group of social media pros for the hottest social media tools they use today. Check out these social media tools to see if they’re a good fit for you! 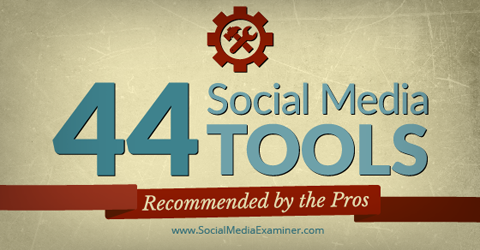 Discover 44 media tools recommended by the pros. Discover.ly is a free Chrome extension that allows you to see the social sites of your email connections and even cross-reference other social sites as you browse. So if you’re on LinkedIn looking at someone’s profile, you can see your mutual connections on Facebook and Twitter. 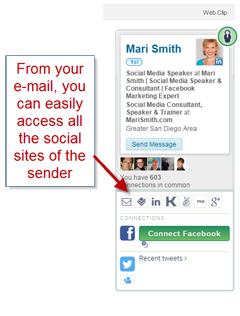 Connect with email contacts easily. This is extremely helpful for making sure you’re connected to the people you want to be connected with in multiple places or to see how you might connect with someone new by getting an introduction from a mutual connection. Andrea Vahl is a social media coach, speaker and strategist and is co-author of Facebook Marketing All-in-One for Dummies. 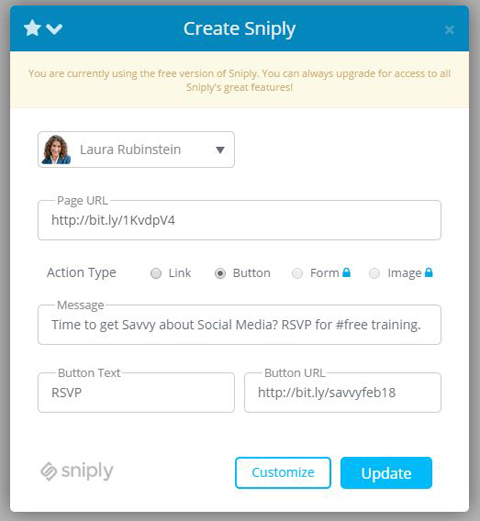 Snip.ly is a URL link shortener that when clicked offers a customized call-to-action snippet at the bottom. Basically, it allows you to promote your own best content or offers while sharing great content from others. To create a snip.ly link (also known as a “snip”), prepare your call-to-action message and have the URL associated with it. Keeping the message short makes it more readable. Add your URL and call to action to a snip. The paid versions of Snip.ly allow you to customize your snips and include a form or image. Here’s how the snip looks when viewed. Snip.ly also has a useful Chrome browser add-on, which has an AutoSnip feature that will automatically snip any links you share or create when used together with Bit.ly. This means all of your Bit.ly links automatically add the Sniply messages, plus there’s a dashboard to see the clicks and conversions (to your call to action)! Laura Rubinstein is co-founder of Social Buzz Club. According to Pinterest, 75% of daily usage happens on smartphones and tablets, so it’s a natural fit to post Instagram photos on Pinterest and have your Pinterest users connect with you on Instagram. That’s why I’m excited Tailwind is beta-testing the ability to easily pin and schedule Instagram photos onto Pinterest boards. The tool allows you to organize your Instagram photos based on likes, comments or most recent photos. This way you can then pin your most popular Instagram photos and give them new life on Pinterest. Vincent Ng is the president of MCNG Marketing and the author of Pinterest to Profits with Pintalysis. I am LOVING Tailwind right now for the simple reason that it shaves hours off my time when it comes to Pinterest marketing. Schedule pins ahead of time. Schedule repins (a very cool feature that means you can share multiple pins from other accounts without pin-bombing the feed). Easily pin any visual content from any website using the Tailwind hover button. Get easy-to-decipher analytics for a quick snapshot of the important things like your most repinned pins, top repinners, new followers and more. Get reminders about boards you need to optimize—if you forget to assign a description or category to a board, Tailwind reminds you! Repin suggested pins to your own boards. A new beta feature also provides pin suggestions based on content you have already pinned. 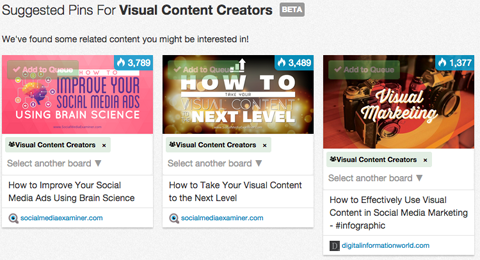 It makes it super-easy to find new, relevant content to share on Pinterest. With Tailwind, I’ve been able to get more strategic about Pinterest and have more fun doing it. Let’s face it… video captivates! But what about the people who just scroll right on by the thumbnail and never watch the video, or never make it to the end and hear your call to action? Overvideo is an iPhone app you can use to create visual calls to action when you post video to Twitter, Facebook, Instagram and YouTube. First, select a video from your camera roll and pull it into Overvideo. Next, create customizable callouts and graphic overlays for your video in just seconds. You can even select the moment you want a graphic or message to appear and disappear. Time the appearance of your calls to action. My favorite use of this app is on both Instagram and Facebook. Instead of posting the link or call to action in the body of the message when I post a video, I use Overvideo to create the call to action or suggest a link in the video. Now anyone can glance at the thumbnail of a video and quickly decide if the content has value for them. Chalene Johnson is the CEO of business and lifestyle coaching company Team Johnson and author of Push. The Studio design app is a photo-based social network that plays nicely with Instagram. What sets Studio apart is that within the app, you can easily add text-based designs to your photos. Even better, when you come across a design you love that someone else created, you can remix it onto one of your pictures. Holly Homer is the co-founder of Kids Activities Blog and co-author of 101 Kids Activities That Are the Funnest, Bestest Ever! Zoho SalesIQ is a website visitor tracking platform that allows you to connect and engage with your website visitors in real time. Among the features are a language translator (both inbound and outbound), the ability to sync with Zoho CRM (if you use it) and intelligent triggers to classify your visitors according to how long they’ve been on your website, what pages they’ve landed on, if they are return visitors, and many other triggers, classifications and responses. See how long visitors have been on your site. As you chat with your website visitors, you can see where they came from, what page they landed on and where they traveled within your website. Plus the user interface is super-easy to use—and that’s a real plus for me. The interface and easy chat feature make engagement easy and not overly time-consuming. 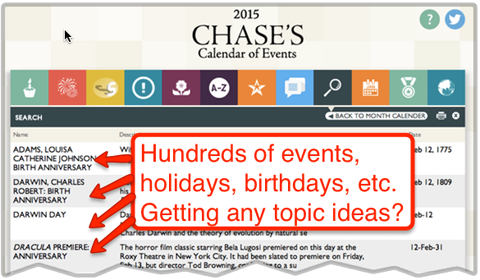 Here’s a great social media tool that most people haven’t used: Chase’s Calendar of Events. Now you can align your social content with a theme so you can connect with people in the context of the moment. For example, March 26 is the first day of Social Media Marketing World. But it’s also Legal Assistants Day, Diana Ross’ birthday and the anniversary of the premier of The Young and the Restless. Getting some content and social media ideas? Every social interaction, online and off, is easier if you can find commonality. And today’s date is something we all have in common. Andy Crestodina is a co-founder of Orbit Media. My favorite hangout app is part of the “Hangout Toolbox” and is called Lower Third. Lower Third lets you easily add a graphic banner or overlay anywhere on the screen of your HOA. You can make it look like a TV news broadcaster or work with the standard layout, which allows you to add a name and a tagline (commonly used for a website URL). Add a banner to your Hangout on Air. Now you can self-identify, promote your latest offer or just add some stuff on the screen around you. 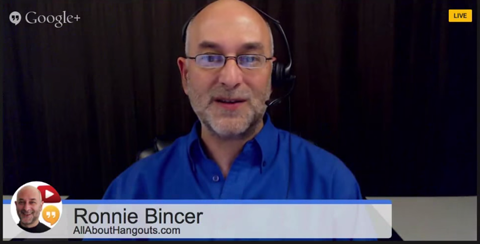 Ronnie Bincer is a Google hangouts beta tester and trainer. Because people typically scan an article before reading it to determine if there’s anything that catches their interest, it’s important to make your content more engaging, digestible and shareable. That’s where Process Street checklists come in. Include downloadable, step-by-step checklists in your articles to grab attention and provide your readers with specific and tangible action steps they can follow. 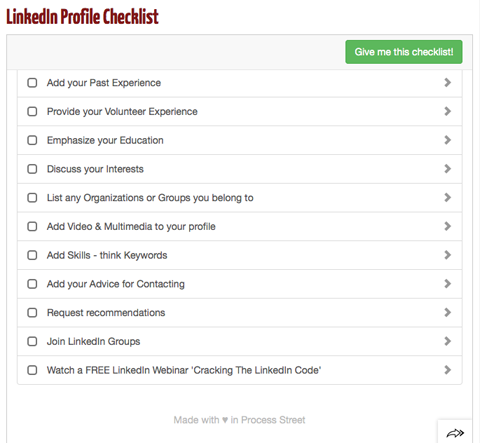 Include downloadable checklists into your blog posts. The tool is super-easy to use and will let you add images, videos and other files to your checklist. 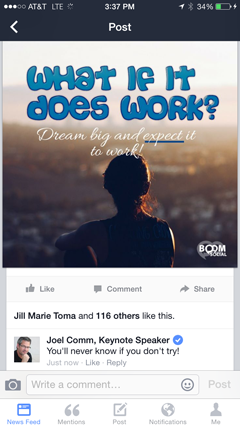 Melonie Dodaro is the author of The LinkedIn Code and CEO of Top Dog Social Media. Pablo lets you easily design and share images for social media posts in less than 30 seconds. You can use their free images or upload your own, add text and logos and then Pablo will resize it to dimensions that are best for posting on Twitter or Facebook. It’s a brand-new app from Buffer that I expect will only continue to improve as more features are added. Lou Mongello is a Disney World author, expert, host and speaker, and the host/producer of WDWRadio.com. Hashtags help marketers start and carry conversations around an event, topic or campaign. Gathering intel on those conversations is now easier, thanks to Tagboard. 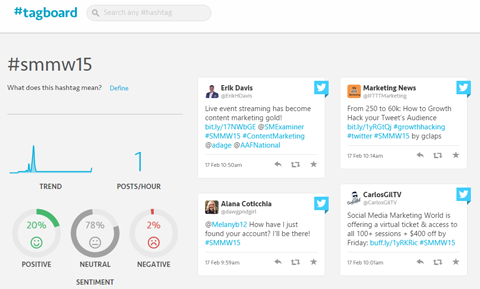 Tagboard gives you a snapshot of sentiment surrounding your hashtag so you can see where the most engagement was generated. Now you know if you’re prioritizing engagement on the right social networks. Track mentions of your hashtag across social networks. As a bonus, Tagboard even allows you to respond to people from the snapshot page, which is fabulous for conferences and sparking engagement in real time! Sherry Hayes-Peirce is the CEO of the Social Media Mobile Maven. If there’s one thing I’ve learned in my career, it’s that relationships matter. The strength of your professional network can be the biggest asset for getting ahead in the world of social media and content marketing from both sales and marketing perspectives. The Connected app is all about providing genuine opportunities for you to strengthen relationships and stay top of mind with those who matter most. Sync your contacts and calendars on Connected, and you’ll get pre-meeting insights and reminders that help you be your best with new acquaintances and old colleagues. For example, imagine you’re walking into a meeting with someone you’ve never met before. Now your phone sends you a quick notification and it turns out you both went to the same university and share a common interest (photography). 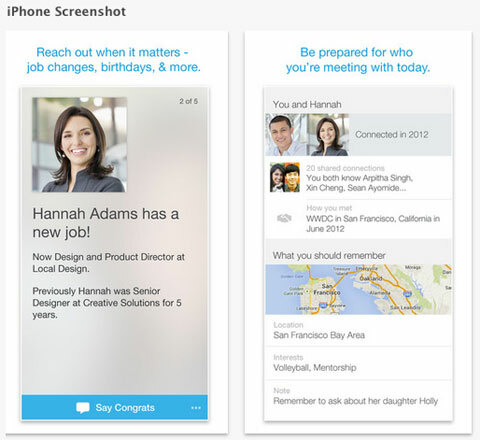 LinkedIn’s Connected app has many ways to help you build relationships more effectively. You now immediately have talking points that can easily transition into a smooth conversation, setting the stage for success. It’s called anticipatory computing, meaning the app can anticipate the information you need before asking. Pretty cool stuff and my favorite new social media tool. Jason Miller is the senior content marketing manager at LinkedIn and author of Welcome to the Funnel. LinkedIn’s Connected app allows you to stay in touch with your expanding network in a way that personalizes the experience and maintains the one-on-one connection. With Connected, you can easily congratulate individual members of your network if there’s a new position, anniversary or birthday to celebrate. You get reminders of anything on your calendar, such as meetings, speaking engagements, birthdays, etc. It also allows you to sync your contacts to get relevant updates about the people in your professional world. Overall, Connected is a way to stay in touch with your network and strengthen professional relationships. It’s really more like a cool CRM (customer relationship management) tool at my fingertips. Ron Nash is the founder of The In Academy and author of two books, Leveraging LinkedIn and How to Find Your Dream Job Even in a Recession. The Atomic App analyzes the emotional appeal of your title, checks spelling and grammar and assesses whether your content is written correctly for the type of audience that reads your content. The app then returns an overall score from 1 to 100. 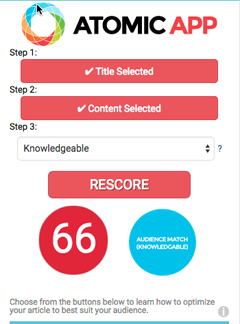 In the following example, the app analyzed an article for the target audience level ‘knowledgeable’ and returned a score of 66, which means there is room for improvement. Scoring your content is easy. Atomic Reach shows you any issues that were identified so you can improve your score. For example, it spotted a grammar mistake in this article! After you address all of the issues, you can rescore the article. Think marketing automation has to be complex? Wrong. Think it has to be expensive? Wrong again. Leadin app is a simple platform that can tell you who is visiting your site and what content they’re consuming. When you get a new subscriber, the app automatically locates the social networks your contacts are on and adds those details. It doesn’t require coding, and can be set up and used by almost anyone in minutes. It easily integrates with almost any form on your site and most of the major email providers like MailChimp, AWeber and Constant Contact. It does this and much more. The best part? It’s not only amazing, it’s free! Martin Jones is a marketing manager with the corporate Cox Communications social media team and editor of CoxBLUE.com. In the past there hasn’t been any way for a business page to engage with a personal profile. With the release of Mentions, a business page owner can engage with personal profiles while acting as any business page you own. Commenting as a Facebook page. Simply like the personal profile or business page of your choice and it will show up in your Mentions feed. Once that happens, you can like, comment or share with the profile just as you would with your own personal profile. While it’s a bit scattered to have several apps to manage your Facebook presence, Mentions is a worthwhile download for those wanting to engage with individuals and other brands via their business page. Joel Comm is the co-author of Twitter Power 3.0: How to Dominate Your Market One Tweet at a Time. Although the native Twitter app is pretty good for engaging on Twitter from a mobile device, Tweetbot has some features that are even better. My favorite feature lets you link up with Instapaper so instead of getting distracted and reading things people link to right away, you can batch-consume articles later when you have more time. Caleb Wojcik is the founder of DIY Video Guy and author of the DIY Video Guide. SumoMe is a suite of tools to help entrepreneurs grow their business and I love it! Mainly because it’s so dang easy to set up and start seeing results. Among the suite of tools, I recommend two the most highly. If you want your website to convert, you need to know how your visitors navigate your site. What are they clicking on? Do they think certain images are buttons when they really aren’t? If that’s the case, you could have some upset visitors who are probably just going elsewhere. With Heat Maps, you get a quick view of where people are clicking on your site to make educated decisions about what parts of your site convert best and which should be optimized. 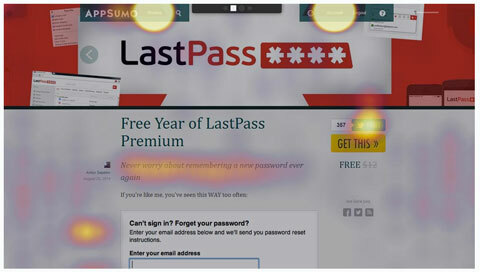 Optimize your website with data Heat Maps. The SumoMe Scroll Box lets you ask visitors to submit their email address at just the right time—as they finish reading your latest blog post. It’s so customizable that you can set at what point on the page you want to ask for your visitor’s email address. Greg Hickman is the founder of Mobile Marketing Engine and a mobile marketing consultant. Sumo.com has 10 free tools to help you grow your website. 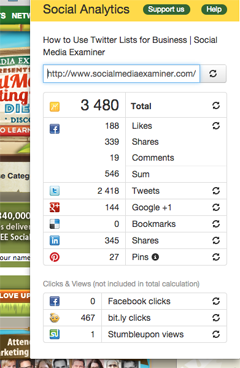 The SumoMe Share tool can help you get 20% more pageviews by auto-optimizing your share buttons for maximum traffic. Plus it has a slick drag-and-drop setup. The List Builder tool is an effective pop-up that can double your daily email subscribers, even among one-time site visitors. Noah Kagan is the founder and “Chief Sumo” at Sumo.com. The Smart Podcast Player is a WordPress plugin for podcasters, and the minute it was available in beta, I purchased it and couldn’t be happier. My podcast RSS feed is hosted on SoundCloud; the podcast player works seamlessly with the feed and updates immediately when I publish a new episode. I can even use smart codes to embed and customize single episodes in blog posts as well. I love the sleek, clean look of the player as well as the responsive design. Customizing the player is easy. It’s incredibly simple to set up and customize with your own images and branded colors. Smart Podcast Player’s support team is on top of things, responsive to bugs and frequently releases features to create a more powerful player. Whenever possible I prefer to use tools I can customize to match my branding and the Smart Podcast Player does just that for me. Most important, though, is that the podcast player is easy for my listeners to use whether they’re listening from desktop or mobile. 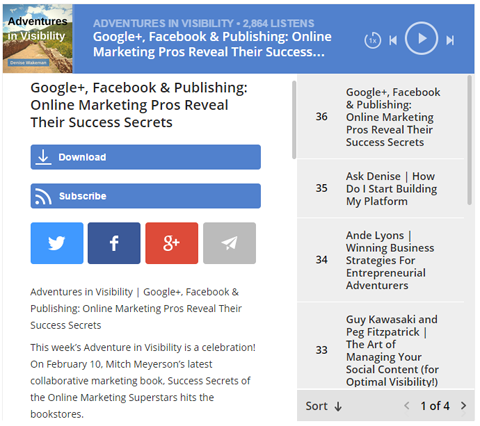 Denise Wakeman is an online marketing strategist and host of Adventures in Visibility. How you publish your best content is just as important as the content itself. RebelMouse is a social marketing content aggregation tool with a CMS and mobile app platform that uses the network effect of social media to get content in front of your customers in a way that drives engagement and reach. Michael Fenech manages global social strategy for Western Union. One of my favorite tools is actually a new feature added to an old tool—Sysomos. This new Sysomos feature is called Tweet Life. It allows you to analyze and understand how an individual tweet goes from person to person through waves of retweets. With Tweet Life, you can analyze a set of possible influencers to determine whom you really need to build relationships with first. 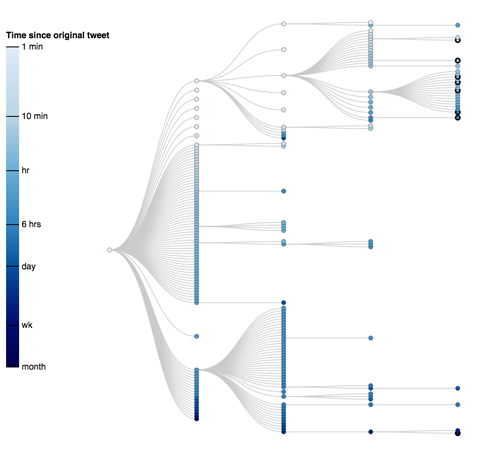 Visualize the spread of your tweet. To do this, locate and then track the influencers’ category tweets (tweets that talk about your brand, a competitor’s brand or the category in general) for longevity, half-life (a measure of a tweet’s virality) and spread (how many people retweet it). With this analysis, you’ll be able to identify the top amplifiers of relevant content. Armed with this knowledge, you can create laser-targeted outreach plans versus the usual spray-and-pray approach so many agencies are taking today. The result is far more efficient and effective. Tom Martin is the founder of Converse Digital and author of The Invisible Sale. Word Swag is an iPhone app that adds amazing text effects to your photos. Using this app, you can make professional-quality posts and photoquotes with just a few clicks. That means you can spend more time focusing on the content you’re giving, while still producing graphics that are professional and polished. Now there’s no reason you can’t add a little swagger to your text! Sue B. Zimmerman is the founder of the online Instagram course Insta-Results™ and the author of Instagram Basics for Your Business. Nuzzel is a social content discovery app. 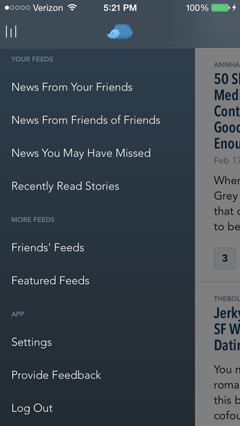 What Nuzzel does is aggregate the stories and articles your Facebook friends and Twitter followers are sharing. Then it filters them by the number of friends who share a single piece of content or by most recent. Find content from within your immediate and extended network. It separates the content-rich updates from the mundane; but the coolest thing you can do is tap into other friends’ feeds and see what people are sharing with them. This app makes it easy to discover what’s important in your immediate network, your friends’ networks and your friends-of-friends’ networks. Dan Rosenbaum is the manager of content and social media for San Francisco Travel. Interviews are one of the easiest and fastest ways to produce high-quality content for a podcast, article or book. But what if you can’t be in the same room as the person you want to interview? RINGR is a new app for iOS that makes it simple to connect with someone else and record an entire interview over the phone. The quality is exceptional, the price is right and your interviewee doesn’t have to have an account. They can quickly install the software, enter an invite code and begin the recording. Paul Colligan is an education czar for Traffic Geyser Inc., the CEO of Colligan.com and author of How to Podcast 2015. I love tools that allow me to be more efficient as I do the things I’m already doing—like surfing the web. Consequently, I rely on a number of browser plugins to deliver data that makes me smarter on the fly. Recently I’ve become quite fond of the Social Analytics Chrome plugin. 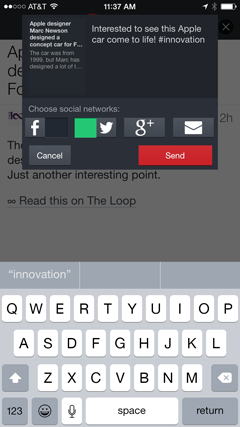 View social media popularity in real time. This tool gives you real-time social data on any web page so you can get a sense of how popular a page or post is on various social networks. This data can tell you a lot about how content on a site is shared, and also where the site might focus its social engagement. John Jantsch is the founder of Duct Tape Marketing and author of Duct Tape Marketing and The Referral Engine. Todoist is a tool to manage your daily task list. My efficiency as a marketer has skyrocketed since using it. It features “one-click” task management and adherence to David Allen’s Get It Done methodology. Todoist allows you to collect ideas wherever you are, using your mobile device, browser, email client or desktop. Then, when time allows, you can quickly and easily prioritize, schedule and set action items for each idea. Todoist keeps individual projects separate by using folders and labels and each day, Todoist notifies you of the day’s action items. Todoist will help you get the work of social media marketing done. Ryan Hanley is the managing editor of Agency Nation and the author of Content Warfare: How to find your audience, tell your story and win the battle for attention online. Little Bird is a powerful and effective tool that takes the challenge out of discovering, targeting and engaging with the most influential people on the social web. Little Bird takes an unusual approach, relying on the collective discovery of other relevant people to find influencers, instead of the frustrating practice of looking through a long list of people who happen to have used a certain keyword. It’s easy to find influencers based on collective discovery. Little Bird goes beyond discovering the people who matter to you and helps to foster targeted engagement. Once it’s found the objectively influential people in B2B topics, it highlights those you already have some connection to. Then it makes engaging with those people even easier by giving you a highlight reel of their hottest content every day or week. Michelle Killebrew is the program director of strategy & solutions for IBM Social Business. When you combine Google Spreadsheets with the Google Analytics plugin and Bit.ly’s out-of-the-box integration, you have a powerful, free analytics dashboard solution. Everything’s in one place, and as a bonus, you can customize the reporting to incorporate more than one Google Analytics profile. That’s a significant help for consultants with more than one client. Christopher Penn is the vice president of marketing technology at SHIFT Communications, the co-founder of PodCamp New Media Community Conference and co-host of the Marketing Over Coffee podcast. If you’ve ever had writer’s block (and who hasn’t?) sometimes you’re just not too sure what to write. Now, the creators of the Portent Idea Generator have ya covered! Simply enter the topic you want to write about and BAM!—you get an instant headline idea to build an article on. Want another one? No problem. Simply hit the reset circular arrow and another idea will be generated. Get quick help with article ideas. Some results and suggestions are quite comical. Some will make you go “hmmm.” But they’ll all get the creative juices flowing to help you attract and keep more visitors. Wes Schaeffer is the host of the Sales Podcast and author of It Takes More Than a Big Smile, a Good Idea and a Twitter Account to Build a Business That Lasts. 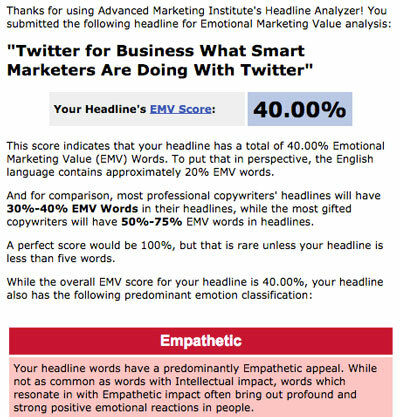 Use the EMV Headline Analyzer to get the emotional marketing value of your message into blog post titles, email subject lines or new tweets. In my experience, when your heading has a EMV score of 25+, it performs significantly better than those that score lower. Syed Balkhi is the founder of WPBeginner. An interesting little app for writing better headlines is the Emotional Marketing Value Headline Analyzer provided by the Advanced Marketing Institute. This headline ranks right in the sweet spot. Input your content headline and the analyzer spits back a rating from 0-100 to score how “emotional” it is. The idea is that the more emotional the headline, the better its chances of being shared. That’s not entirely true. It turns out you can be TOO emotional! I did a statistical analysis of the tool and it turns out the sweet spot is actually between 30-50. After that, social sharing levels begin to decline. Mark Schaefer, educator, consultant and author of Return On Influence, Born to Blog, Social Media Explained, and The Tao of Twitter. PeopleLinx is my tool for serious social selling activities. In addition to the requisite ability to share curated content through LinkedIn and Twitter, PeopleLinx gamifies the process. Each user is assigned to a team so managers can view activity across teams as well as individuals. Users can also see how their activity compares to others on their team and the management-level reporting gives managers the ability to see across teams to understand behavior and results. PeopleLinx empowers team managers by letting them set up profile “optimizations” and “to-do’s” that get assigned to people on each team. Once a manger updates an opportunity, a pre-configured rule alerts team members to take an action. This automated “to-do” can be as simple as “follow their company page.” Of course, these rules are customizable. Example of an optimization opportunity. When everyone on a team is taking action from pre-configured optimizations, you take away the stress of “how” to be effective at social teamwork and selling. Bernie Borges is CEO of Find and Convert, a B2B digital marketing agency, and host of the Social Business Engine podcast. We utilize a combination of Infusionsoft for email marketing and LeadPages.net for landing pages to drive desired conversions from social media. It has an amazing “what you see is what you get” (WYSIWYG) interface that enables the creation and launch of landing pages within a few minutes. LeadPages helped us more than double our email subscriber list to over 35,000 in less than 6 months. We now have an average conversion rate of 60% to 80%+ on all landing pages and forms. Pam Moore is the CEO and founder of Marketing Nutz. Pocket, formerly known as Read It Later, is a content curation tool that can fuel the content you post to social media, help with research for content creation and generally keep you organized. Whether you’re reading an article in a browser, email or social media app, you can save articles to your Pocket for offline reading on your phone, tablet or computer. 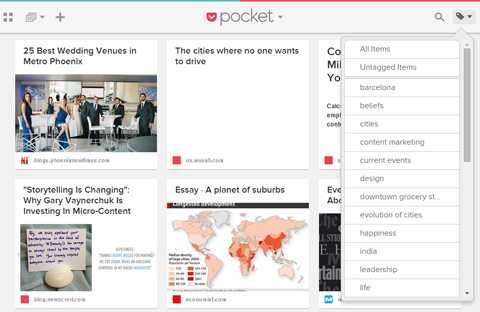 Filter the content in Pocket to find what you’re looking for. You can tag articles for easy sorting and filter by video, image or article. Pocket also parses the content from pages you save, and strips away unnecessary formatting, ads and more, so the reading experience is seamless. It’s a great tool to organize all of the information you consume. Arnie Kuenn is the CEO of Vertical Measures and co-author of Content Marketing Works. Markr is a newer app that lets you place a hashtag on top of your photos or videos. What I love most about Markr is its simplicity. You simply connect your Facebook or Twitter account to pull trending hashtags, both locally and worldwide, or you can also create your own custom hashtags. Recently used hashtags are kept in a section called Recents for easy reference and usability in future posts. If you’re adding multiple hashtags to your Instagram and Facebook posts, make one of those hashtags stand out by adding it directly to the image or video. If you’re a brand, use your official hashtag to create branded photos. Markr isn’t going to replace popular photo/image apps like Word Swag or Diptic, but you will want to add it to your toolbox to create impactful content. Tyler Anderson is the founder and CEO of Casual Fridays and host of the Social Media Social Hour podcast. 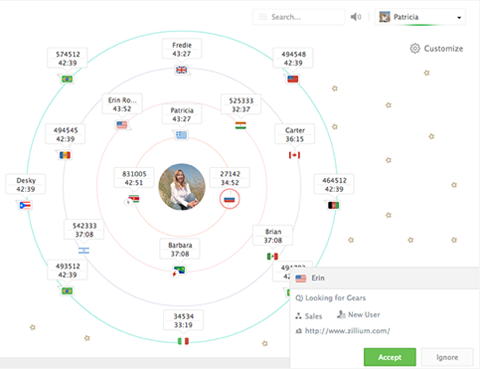 Circloscope is the only circle management tool on Google+, making it invaluable for the keen user of the platform. But here is the thing—it does far more than just manage your circles. Take a Google+ post, filter by level of engagement and add people who reshared it to a circle. Drop in the link to a public event and filter for attendees, then add them to circles. Drop in a link to a private community and find out who has been active/inactive. Add an email list you have and find matching Google+ accounts. Drop in a YouTube link and find the engagers there too! RefreshBox combines social curation with smart email marketing. This simple app makes it easy to package and send out a curated list of five links via email each week. RefreshBox offers a Chrome extension that will grab the title of any post you’re reading and add it to your weekly list, which goes out to subscribers automatically every Friday. In each delivery of the Content List, I add a quick explanation of why my readers will find the article useful. Not only can you promote your RefreshBox list with a link on your blog, in your emails or in social updates, RefreshBox also offers your curated list in its growing directory of users. Readers can quickly subscribe and begin getting your links every week. RefreshBox is new and testing the service now could pay off as it brings in more users who could sign up for your curated list. Stan Smith is the founder and CEO of Pushing Social and co-author of Born to Blog. If This Then That is hardly new, but it hasn’t yet reached the mass population despite its ease of use, efficiency and supreme cool factor. Because 64% of human beings are visual learners, the web is becoming more visually based. Let’s say you post a photo on Instagram and you want to also tweet it. IFTTT to the rescue! 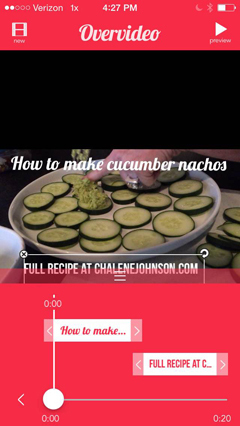 Just create a recipe that connects Instagram to Twitter and give it direction to tweet as a picture (not a link) as soon as you upload to Instagram. No more having to post to each network separately and tweaking the tweet to include the photo instead of the link. Define how Instagram links post to Twitter. Now let’s say you want to aggregate content in a really useful way. When you’re in Feedly, favorite certain posts as you do your daily reading and IFTTT will automatically send it to a draft WordPress blog post that you can edit and publish later. Save articles from Feedly to WordPress drafts. No more copying links and pasting them into your blog post draft! Do you have a business that sells through Etsy? Now you can create an IFTTT recipe to tweet your newest product as soon as you upload them. Are you using videos to tell your organization’s story? Now, when you publish a new video to your channel, you can have your IFTTT recipe send it to your Facebook page. Get on there and click on Channels in the upper right-hand corner and start exploring. You’ll find a recipe—or 10—you can use immediately. But be warned… You may lose two hours there. Gini Dietrich is the founder and CEO of Arment Dietrich. Canva is an easy-to-use, web-based tool that combines the best elements of Photoshop and designer templates. You don’t have to download software and all of your images are saved on your account. I use it for Instagram and Pinterest images. When I find a quote I like or a graphic I want to customize (I recommend using photos from Unsplash), I create a new project in Canva and am done in a few minutes (versus an hour of fumbling around Photoshop or other apps with limited options). The quality of design templates, fonts and layouts is awesome, but the best parts are the pre-sized templates for every possible social media image size and the free tutorials to show you how to make better graphics. For me, Canva is the perfect blend of customization and pre-made design templates. Plus it’s free. Lewis Howes is the host of the podcast, The School of Greatness, and author of The Ultimate Webinar Marketing Guide and co-author of LinkedWorking. BuzzSumo is a powerful tool to learn what type of content is most desired by your target audience for a specific topic, what type works best for respective social media channels and even what type is most relevant for a particular time period. In addition to searching by topic, you can use BuzzSumo to search for specific domains. This provides insights into the most shared articles by the respective social media channels. Going even deeper, you can compare two domains side by side to learn more about the social media sharing behaviors of a competitor’s audience. 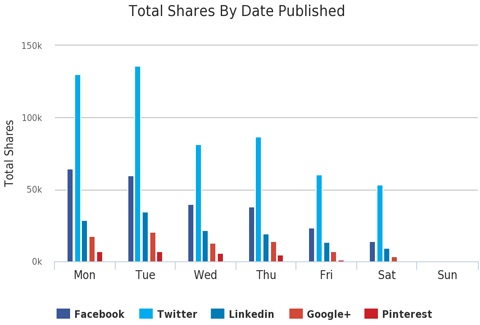 Social shares by day of the week. An analysis of Social Media Examiner reveals the audience is most active on Monday and Tuesday, so it’s smart to post the longer-form content on those days. With the Pro version, all of this data can be exported into an infographic-style report. If you’re obsessed with understanding your audience and giving them what they want most, BuzzSumo just may prove to be addictive. Jeff Korhan is the author of Built-In Social and host of This Old New Business podcast. It’s difficult for most companies to create all of the content they need for social marketing. 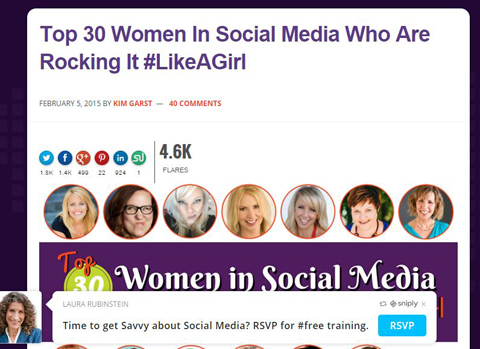 So how do you find great content to share when you need to augment your own content posts? 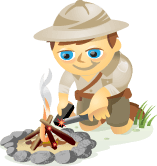 BuzzSumo is a content curation tool that tells you which pieces of content are viral and which are duds. Search BuzzSumo for keywords in your niche and you’ll find something people have already shared 10,000 times. That tells you it’s good but not everyone has seen it, so you can still introduce it to new people. If it meets your standards for quality and utility, share it! To find content to post on LinkedIn, sort your BuzzSumo search results by most shares on LinkedIn. Likewise on Facebook, Twitter, Pinterest or Google+. 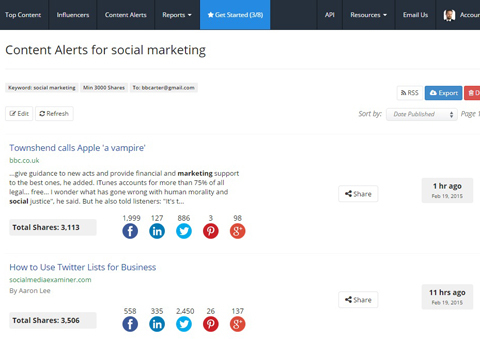 If you pay for a BuzzSumo account, you can even create email alerts for your search phrases. Brian Carter is the author of The Like Economy, Facebook Marketing and The Cowbell Principle, and founder of the Brian Carter Group. Looking for new and creative ways to repurpose your evergreen content? From videos to podcasts, reinventing content can be an excellent way to extend the shelf life of past articles. One of my favorite things to do is repurpose past content into a presentation with Haiku Deck—an online and iPad app that lets you quickly and easily create a graphically appealing presentation in no time. Plus, their integration with SlideShare is a powerful one-two marketing punch. Haiku Deck is easy to use. Look at your Google Analytics and find an article that performed well. Click Get Started. 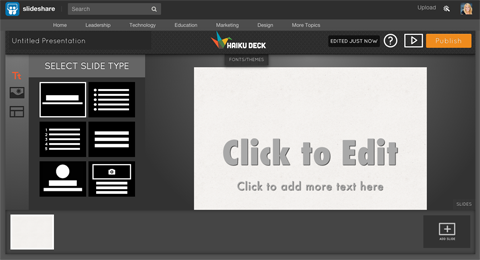 Haiku Deck will open where you can begin to build your presentation. Select your slide layout from the pre-created designs. Take a point from your article, write a headline and a subhead or bulleted list to support your topic, add an image and move on to the next slide. When you’re finished, click Publish. Incredibly intuitive, Haiku Deck will allow you to make image-rich slideshows in less time while opening up past content to a whole new audience. It’s a presentation tool I love. Rebekah Radice is a social media strategist, speaker and trainer, and the author of How to Use Social Media to Virtually Crush the Competition. 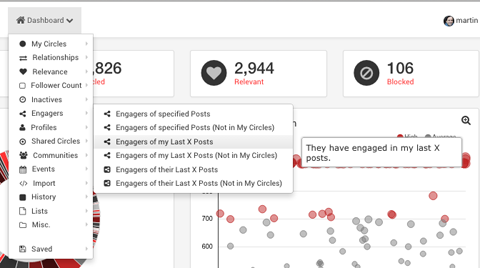 LikeAlyzer is a must-have tool for your social media routine. With all the changes in Facebook’s algorithms, staying up to date on your Facebook stats has never been more important! Stats from a LikeAlyzer report. The timing changes each week so you’ll likely update your plan for the week based on what LikeAlyzer suggests. If you’re the competitive type, you can also check out other pages in your niche to see what’s working. Use this weekly and your Facebook page will be zooming in no time! Peg Fitzpatrick is a social media strategist and co-author of The Art of Social Media. While we’d all like to reach our ideal customer organically through great content, sometimes we need a little help with paid ads. While Google and Facebook get all of the attention for paid ads, Twitter has quietly built a very powerful advertising platform. Whether you’re looking to get more followers, stimulate conversation or drive clicks and conversions, Twitter has ready-to-go campaigns that you can start up in minutes. Serve ads based on geography, gender, keywords and more. Target followers of specific accounts (such as industry influencers or your competitors). Get in front of people who are interested in your niche. In addition, you can upload your mailing list and serve ads to your subscribers, to people like your subscribers or prevent them from seeing your ads. 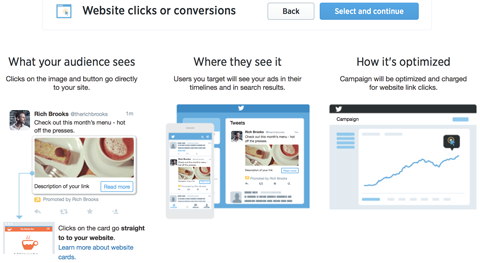 You can also target people who’ve visited your website with new retargeting options. Twitter ads are usually a cheaper buy than Facebook ads, so it’s a worthwhile option for any marketer to reach more of your ideal customers. Rich Brooks is president of flyte new media and the founder of the Marketing Agents. CoSchedule is a lightweight WordPress plugin that allows you to easily plan, schedule and strategically promote your blog content to social media channels. CoSchedule integrates with Twitter, LinkedIn, Facebook, Google+ and Buffer. You can also track your post links through Bit.ly or Google tracking tags. What I love about CoSchedule is that you can manage your entire content creation calendar and social media sharing schedule right from the backend of your WordPress website or blog. Simply select which social networks you want to share your blog posts to and create your own social sharing schedule on a post-level basis. Social stats shown in WordPress. CoSchedule will track social media engagement from your posts and show you an activity report ranking your posts based on engagement levels. You can even share your top posts (or any post) again straight from the report! The calendar feature in CoSchedule is very robust. You can see your social media sharing schedule and number of shares from published posts directly from the calendar view. This is perfect for getting a big-picture view of your social media sharing schedule. 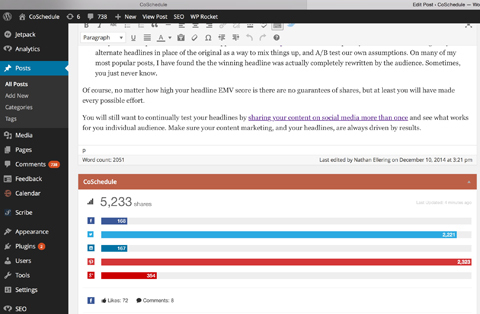 If you want to make sure that your blog posts are shared on social networks at optimal times, connect CoSchedule with Buffer and manage your content distribution schedule automatically. Stephanie Sammons is the founder and CEO of Wired Advisor. Keeping up with the latest news in a digital world is challenging, especially given our busy 24/7 “on” schedules and constant bombardment with messages. Anews is an easy-to-use app to help you focus on the latest news in the categories you’re interested in. Sharing from Anews is easy. Plus, you can share this news with your social channels in a split second, making every free moment count. Elizabeth Houston is the director of North America Community at Hootsuite. Not only does Edgar solve the problem of buffering evergreen content delivery in an elegant way, it helps you optimize the content you deliver to LinkedIn, Twitter and Facebook. After you create a “library” of social media messages and categorize each posting by an editorial calendar–type of posting category, Edgar will schedule things according to your needs and ensure that your social media posting actually aligns beautifully with your content marketing strategy. Finally, here’s the fun part: Create an editorial calendar using the library of social media postings you made for each social network! An editorial content calendar in Edgar. While many begin with an editorial calendar and try to schedule postings on a weekly basis to fit it, Edgar ensures that you post according to your editorial calendar because that functionality is integrated within the app. As you would expect with any social media dashboard, Edgar also provides you some statistics that let you easily optimize your saved library of content. For example, when you find out which content posts are working well, you can publish them more often or you can delete content that is no longer doing well. 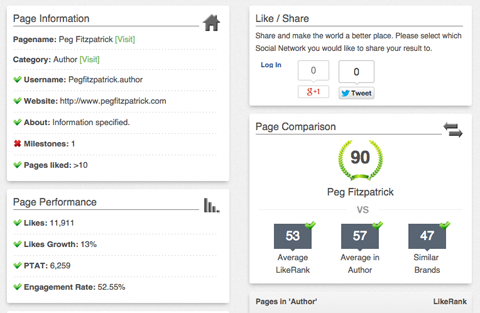 Edgar shows stats for posts to help you optimize your content delivery. There is no single perfect social media dashboard. With that in mind, Edgar deserves your consideration for a complementary dashboard to ensure that your important messages don’t get left out of your social media posting. Neal Schaffer is the president of Maximize Your Social, author of Maximizing LinkedIn for Sales and Social Media Marketing and Maximize Your Social. I have a new friend, and I love him. His name is Edgar. Let me explain. Most of our social media updates go to waste. They’re only seen by a fraction of our total audience, falling victim to things like time of day, mysterious algorithms and other factors that are beyond our control. Fewer and fewer people see our social media updates. To keep up, we’re forced to publish more frequently, just to stay engaged with our audiences. This can make social media marketing a real burden, one that grows heavier each day… and one that offers diminishing returns. Edgar to the rescue! No longer do you publish your updates just once and then watch them sink beneath the waves of obscurity, missed by most and forgotten by all (even you) within hours of publication. 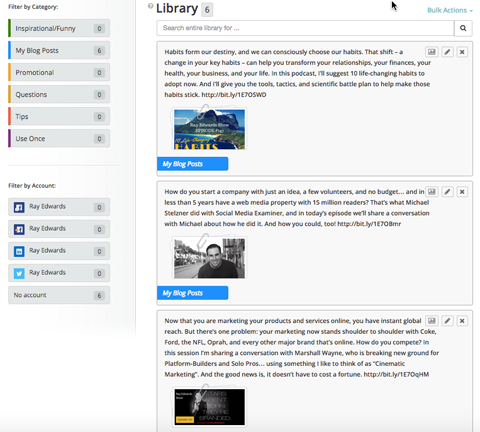 Edgar catalogs your social updates into a library that grows over time. You curate the library, and Edgar republishes those updates on a schedule you set. He publishes only what you want, and only when you want it done. Posts from the Edgar library. What happens once Edgar publishes all of the updates in a category (like “My Blog Posts,” for instance)? He just pulls more updates from your library. You can handcraft each update and even write several fresh updates that point to the same resource, blog post or podcast episode. Your social media posts don’t go to waste. Your “old” posts can become new again. And you have time to catch up on the latest episodes of The Walking Dead and Game of Thrones. Ray Edwards is a writer and communications strategist, and hosts the top-rated podcast, The Ray Edwards Show. The social media marketing experts who contributed to this article are all speaking at Social Media Marketing World 2015. You’ll hear from hear from 100+ of the world’s top social media marketing pros as they reveal their newest social media marketing tips and practical, real-world, proven examples. Join Guy Kawasaki (author, The Art of Social Media), Mari Smith (co-author, Facebook Marketing: An Hour a Day), Chris Brogan (co-author, The Impact Equation), Jay Baer (author, Youtility), Ann Handley (author, Everybody Writes), Michael Stelzner (author, Launch), Michael Hyatt (author, Platform), Laura Fitton (co-author, Twitter for Dummies), Joe Pulizzi (author, Epic Content Marketing), Mark Schaefer (author, Social Media Explained), Cliff Ravenscraft, Nichole Kelly, Ted Rubin, Chalene Johnson, Darren Rowse, Joel Comm, Kim Garst, Martin Shervington, Marcus Sheridan, Gini Dietrich, Pat Flynn, John Jantsch, Andrea Vahl, Brian Clark and experts from more than a dozen top brands as they reveal proven social media marketing tactics at Social Media Marketing World 2015—Social Media Examiner’s mega-conference in beautiful San Diego, California. You’ll be able to take your Facebook, LinkedIn, Twitter, Pinterest, Google+, YouTube, blogging, podcasting and video marketing to an entirely new level. Join 2,500 fellow marketers at the mega-conference designed to inspire and empower you with social media marketing ideas—brought to you by Social Media Examiner. What do you think? Do you use any of these social media tools? What’s working well for you today? Please share your thoughts in the box below.